You’re Really Writing a Post About Peanut Butter? Heck, Yes! Peanut butter. How could we have survived childhood intact without it? Besides, what’s childhood without getting sticky fingers to use for strategically-placed hand prints to drive a harried mother crazy? My sister, particularly, wouldn’t be on a deserted island without it (and some milk to wash it down). So, why talk about it? That’s because I’ve seen the light. Or, more specifically, tasted it: organic peanut butter made of nothing but PEANUTS. At first, the slightly gritty texture and more pungent flavor made me raise my eyebrows. It also had to be stirred (which I only remember from when we had little money, when Mom got a huge vat of it in a red plastic container — with no label) and, since it hadn’t been refrigerated yet, it was ruuuuunny! So, it made me play with my food all the more. But, I’ve gotta say, once you go runny, you never go back! Once we finish this jar (yep, it’s glass), we’re going to bring it to Peter’s Cornucopia (about a half an hour away; we go there every few weeks to see what organics we’d like to splurge on) for a refill. Although this was store-bought PB, we’ll be SEEING the peanuts crushed before our eyes, filling our re-used jar, making us feel involved in the process. It’s pathetic, sure, but just thinking about doing this with our kids, having them involved with their food, never having to deal with wallpaper paste PB & J sandwiches. Yum! Author megactsoutPosted on May 25, 2010 Categories kids, organic, peanut butter, runny, UncategorizedLeave a comment on You’re Really Writing a Post About Peanut Butter? Heck, Yes! Things Are A-Changing — Yay! As we all know, thanks mostly to the economic downturn here in America (or, should we say, in the Western world? ), life as we know it is changing — and I hope it’s for good. It’s time we reevaluate our priorities if we haven’t already. Here are some ways that people are making changes. Hey, look! We’re already making some changes that they listed. Sweet! Oh, and it should be known that while the area that we live was affected in a different way by the recession — we’ve survived because we have insanely low cost-of-living to begin with and our job force was already running at its lowest ability (in most areas; schools are finally getting pounded). So, I think that most of our residents were already used to the “tough stuff.” But, we weren’t completely safe — I mean, our house WAS a foreclosure. 1- Monthly Debt: We’re living without this, but to an extent. We were already watching our credit debt since we both have it. We’re both working HARD at cutting down on our debt, so clearly we’re still making monthly payments, but not adding a penny to it. 4- Clutter-kicking: Since we have such a small place (and had moved two pretty sizable apartments into it just about a year ago), we’ve been working at getting rid of lots of STUFF. Dave’s much better at this. I need to work on thinning out my wardrobe; he works VERY hard at selling off comics and other randomly-found items. We also have an annual garage sale — fun! 6- Cell Phone Over Land Line: We’re both cell-only, which has followed us from the apartment days. 8- Home Cookin’: When Dave and I were first friends, I used to grab his favorite dinner at McDonald’s on my way to the theater — knowing that he got out of work really late and would head straight to rehearsal rather than eat. Sweet at the time, perhaps, but since then (and much more recently), and thanks to the fact that we’re going organic, we eat at home a lot more. We’re also a lot more verbal about when we are going out to eat. 17- Run It Into the Ground: Dave’s doing well with this one; I, however, purchased a brand new Sportage last year. It’s served us well, though, and I’m not planning on getting a new car ’til…eh, the kids are driving this one, maybe? Anyhoo, Dave has a policy on his car where he can trade this one in for a new one or keep paying on it (like lease-to-own) — and he’s doing the latter. He’s proud that his car has held up relatively well, and there’s little to no reason to get a new one. I’d say this is definitely “new wave” way of thinking. 18- Regulating Ourselves: We’re lucky. When we moved in, we already had a programmable thermostat. And, that heinous tree out front has helped us keep the cool in during the summertime (although we do occasionally run an air conditioner in the bedroom). You’ll find me covered in blankets (and sweats) in the winter and scantily-clad in the summer (Dave’s not a fan of wearing shorts, but he’s getting better). We try. 20- Low-Key Dating: What?! Who has time to date anymore?? No, actually, we’ve come to enjoy our “home time” together (especially on work nights) more than we ever thought we would. So, heck, the rare date we do budget for is even more enjoyable — and we usually use gift certificates for those, so it’s pretty much free. 21- More Debt: This seems like a repeat of #1 to me, but who am I to complain? Like I said, we’re workin’ on it!! So, this makes me wonder how others are faring on these stats. Rolling your own cigs? Driving your ’98 jalopy into the ground? Oh, and here are the 10 things that people AREN’T giving up during this recession (although the TV findings seem contradictory to this study). Author megactsoutPosted on May 21, 2010 Categories UncategorizedLeave a comment on Things Are A-Changing — Yay! I bought 3 vacuum-packed, frozen 1-lb. packages of ground beef at this week’s Herkimer Farmer’s Market. After talking with the owners of the booth (and farm, presumably), I found out that the beef that they raise is called Limousin (pronounced like the vehicle you took to the prom…or your wedding) rather than Angus. She explained that the difference between them is in their digestive system; they look completely different, so the way their flesh and fat develop look completely different, too. She then handed me a sheet filled with information on the breed and I grabbed my purchases and left. Dave asked to read the information later, so we did so together. I ended up finding out that this type of beef is a lot leaner, but that many agricultural colleges have performed taste tests (among other types of tests, like cholesterol — it’s equal to that of eating chicken) and that this breed scored high every time. I’m pretty pleased with the n ot-cheap purchase, overall. Most of all, knowing that the burger I was eating was raised (and slaughtered, but I try not to think about that part) in Little Falls — the shortest distance my meat has ever traveled! 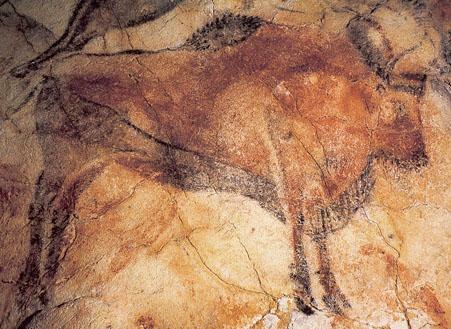 Another informational tidbit about the Limousin is that they have been around for over 20,000 years — in fact, they’re the cows that you’ll find painted in the caves in Lascaux. So, I’m lovingly referring to them as cave cows. I just think that’s so cool! Preheat an outdoor grill for high heat. Mix together the ground beef, garlic, olive oil, salt, pepper, and basil. Divide into four balls, and flatten into patties. Cook the patties for about 3 to 5 minutes on each side, or to desired doneness. The internal temperature should be at least 160 degrees F (70 degrees C). Remove from grill and place onto hamburger buns. Top with desired toppings and condiments. Whisk in garlic paste and season with salt and pepper. If aioli is too thick, whisk in 1 or 2 drops of water. Chill, covered, until ready to use. Last Wednesday, I accompanied a small group of seniors (12th graders; not elderly) to the Metropolitan Museum of Art. While I was mesmerized by the King Tut exhibit and inspired and awed by the rooms filled with Picasso, I’ll instead write about something else — our eating experience. While at the Met, my tiny group and I ate in the cafeteria. While they offered plenty of healthy foods, I was disgusted by something else — the rudeness. I was expecting extremely over-priced items (to the tune of around .78 per pound of cold sides and salad; my total came to over $13), so that wasn’t too bad. However, I couldn’t believe how utterly despicable people were. I’ve been to NYC numerous times and the streets are what I call “adjustable” — they’re not rude, you just have to adjust your thinking and think more like they do. But, this was nuts. I hate to say it, but most of the other “tourists” (the ones being literally pushy and giving you the evil eye) were French. So, let’s just say that our lunch was crowded and tense. And, did I mention expensive? Well, again, THAT was to be expected, at least. The main teacher who set up the trip had planned in advance for us to visit Pret A Manger for our pre-bus dinner. I had visited one of these establishments when on an NYC trip with Dave, but I didn’t think much about it at the time. This time, I paid a lot more attention. This time, after wishing so many times that “fast food” restaurants (or any restaurants, really) offered more all-natural food alternatives, I came into this eating experience with eyes much more open. For those of you who don’t know, Pret A Manger is French for “ready to eat”, which sounds a little misleading. A lot of fast food commercials lately talk about how they make your food once it’s ordered — which sounds great, right? Sure, but that stuff’s still manufactured meat and never-go-bad fries. – We arrived at the Pret next to Bryant Park. Luckily, it wasn’t insanely busy, so it accommodated our 14ish people. I noticed several perma-smiling employees waiting to let us pay (or to take an order), but who didn’t rush us to pick out our food. – I turned to a wall of food and beverages. They present you with an open cooler of sandwiches and salads, all made with close-as-possible vegetables (some grown on-premises) and daily-made fresh bread. Most of the beverages are as all-natural as possible, from lemonades to juices, smoothies to flavored waters (although there is the occasional Coke). I picked the Pret Pure Ginger Beer (which we had to remind the students several times was NA). It was the strongest ginger beverage I’ve ever had, to the point of being wicked s picy — I had a carbonated water the next day and I still could only taste ginger. I liked it. – Next, to figure out what to eat. Some of the items I considered were: roast beef baguette, cheddar and chutney sandwich, chicken/apple/cranberry sandwich, corn chowder, and sweet butternut squash soup (among others). I settled on a balsamic chicken and avocado sandwich and grabbed some all-natural chips. Later, I ruined a lot of the health factor with a chocolate chunk cookie, but knowing that it was fresh-made that day (and still warm!) helped me reason with myself about eating it. It’s important our sandwiches and salads taste better than everybody else’s. To achieve this, we build a beautiful sandwich kitchen in every Pret. “Every night we receive good, natural ingredients and our chefs get cracking early in the morning. …We don’t like big food factory/depot/processing places. We make our stuff fresh so we can sell it fresh (it’s old fashioned but works well). We donate our sandwiches to charity instead of keeping them over to sell the next day. Because we make our food by hand in each store throughout the day, you won’t find “shelf life” dates and “display until” messages on our salads and sandwiches. We simply don’t need to sell old food. Next to the fact that they donate their leftovers (when they have them) to charities at the end of the day rather than re-sell the next day, I’m most impressed by the fact that they will not franchise. They’re a privately-owned company and they’re growing slowly — over 3/4 in UK (where Pret started), only a handful in the states. While I wish it would travel upstate, knowing their slow-moving approach, I’m okay not having one here quite yet. Our area isn’t the most 21st century (or, at all?) — we don’t have a true Starbucks. I’m praying for a Whole Foods — the best I can get is Hannaford’s. 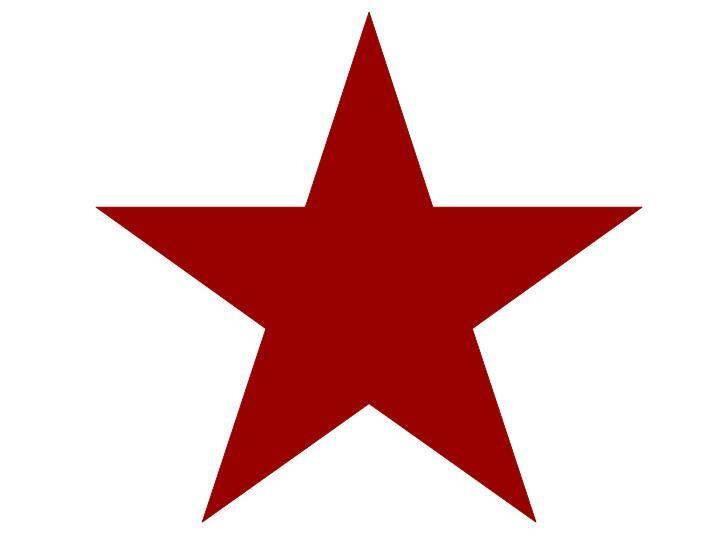 But, I’m looking forward to having a place in the city we visit the most to actually eat the way we’re trying to “upstate.” So, all in all, I give Pret a huge red star (actually, the best customer service workers get a Tiffany silver star for good feedback, ha!) for staying true to their ideals and helping us do the same. Although the weather forecast seemed doomed, Dave bouncily suggested that we head to our first farmers’ market of the year – in Cooperstown. With all that enthusiasm, how could I possibly say, “What, no cozy, “stay in and clean” day?” Plus, I already knew that it’s one of the area’s only indoor markets — it’s open every other Saturday throughout the winter, with normal hours the rest of the year. After hearing some great things about it, and with such an eager partner in tow, we left beneath a steady stream of chilly rain. Strangely enough, by the time we reached the baseball rhetoric-riddled Main Street, the sun had taken over and our jackets were unnecessary. It made the short walk toward the barn-like structure used for the market incredibly quaint, especially with other locals and travelers meandering their way with grocery store reusable bags and homemade baskets in tow. The vendors were overflowing to outside its doors, which we saw as a good sign. Compared to the, admittedly, only other farmers’ market I can recall attending, it was kind of sparse. I’m sure the local ones I’ll start attending next week will be teeny-weeny, so I’m not necessarily complaining about it. There were plenty of vendors, several with the same goods (which we LOVE — it makes it easy to compare prices), mostly incredibly friendly and willing to talk. However, several of the goods were pretty irrelevant to us — tie-dyed shorts, anyone? And there were only a couple vegetable vendors, each with few items we could actually choose from. Having worked on a dairy farm and lived in a quasi-rural area my whole life, I’m not ignorant about the reasons I wasn’t overwhelmed by lush and plentiful goodies at the CFM. I know. We’re still pretty much off-season. And, I knew that when Dave asked me to go, wide-eyed. Mostly, I wanted to see what the place was about, what the farmers and artisans and cheese-makers were like, and whether it truly is worth it to schlep 45 minutes away for locally-grown goods. There arises a paradox: If you’re going to release your fossil fuel into the atmosphere with a 1 1/2 hour round-trip to get organic, locally-grown goods which are good for you and the environment, is it really equaled-out? Mind you, it was a wonderful drive (other than for the occasional rain shower) and we did get our first-ever free-range multi-colored XL eggs, Amish cheddar cheese (INCREDIBLE! ), very well-priced European-style yogurt and some homemade, environmentally-friendly soaps (all well-thought-out and exciting purchases) as well as a side-trip to visit the ducks at the Fly Creek Cider Mill. And, as far as the quandary is concerned, I say we still hit the ball out of the park (I do spend too much time at Cooperstown! We’d live there if we could! – not for the baseball). While we used up some gas, we got a great overview of what to expect when the yields REALLY start coming in. I foresee perhaps visiting the CFM once a month while supplementing the occasional CSA and local farmers’ markets more regularly, but it’s definitely not only a great resource for healthy, sustainable goodies, but an always-needed excuse to get away for part of a day. After reading this article, it dawned on me that our current surroundings may not just be a starter home — it may be our after-starter home. Certainly not our ending home, but a bigger player in our future as a couple and family and careers than expected. I’ve gotta start coming to terms with that. We found this house a little over a year ago, thanks to my mother. She was on the look-out for a cheap starter home for us (it seems lots of people were — my sister and Dave’s brother both bought their first homes around the same time). In luck, she found a foreclosed property in our suburban area for a great low price. Yeah, no. Ridiculously low. Dave and I walked through, knowing that it might have some unforeseen issues (the realtors couldn’t inform us due to its foreclosure status, which we were fine with), but the place seemed just right for our needs. I think once Dave saw the brightly-lit sun room in the front, he silently fell for it — I think the age of it (close to that of my first home, where I lived for 18+ years) did me in. Shortly after moving in, we discovered that the house hadn’t been winterized in sufficient time, so the pipes had burst. A funny story involving our kitchen’s leaking ceiling fan and my niece calmly proclaiming that, “The light’s got water coming out of it” will always be engraved in our memories of our first day in the place. With great thanks and appreciation for my step-father, before too long we had all new pipes, toilet, and energy-efficient water heater and furnace. Then, he and Dave worked together to put in a pedestal sink, vanity, overhead light, light/heater/fan, front door locks, etc etc etc. Dave’s dad supplied us with well-priced windows, which we’re still working on getting put in — a vast majority are finished. We’ve turned our eyes to getting the lawn green (in a green fashion — like by using his old-school push mower, as mentioned in this post) and will be planting a modern “victory garden” when the weather stays warm for a bit. Oh, we’ve done more — much more. Lots of painting and cosmetic stuff, but nothing too costly (yet). We put in some cool vintage-looking (but modern material) black-and-white-check flooring in the kitchen, painted nearly every room, and am in the midst of finishing the cellar-way. Oh, and as a wedding present, my stepdad will be helping us put in a back deck. But, we’ve talked over other plans and what we’d like for the rest of the house while we own it. This is where it gets a little complicated. See, the house itself is pretty small. I’m not sure of its exact square footage, but I’m pretty sure it’s misleading when I say we’ve got 3 bedrooms. In actuality, we have one bedroom (slightly cramped), one guest room (it’s embarrassing to admit, but it’s covered in my clothing — it contains a closet and a large dresser, but I still don’t have much room for clothes), and a den/office which houses 3 not-big desks (Dave uses this closet for some of his clothes; he also has 2 dressers in our room, plus the tiny closet). Add a small bathroom and you’ve got our upstairs. Downstairs is a little roomier. Our living room feels pretty expansive, but once you get 4 people in it you realize how uncomfortable it really is — it’s a hard room to furnish correctly! But, YAY, at least it’s got a sufficient closet; still tiny, but works for seasonal items. The front door and “sun room” (tiny!) open from the living room, as do the kitchen and dining room (each have a door; this is the 1920s, after all). The kitchen is a sufficient size, but there’s not enough storage and some of the cabinets were downright abused by the prior owners. Mom always says it’s the brightest kitchen she’s ever seen in her life, so once we add a back door onto the deck, it may just be my favorite room. The dining room isn’t very big, and won’t be once we get my piano in there, but it fits its purpose. The basement is a “future project.” It’s pretty expansive, but with lots of opportunities for head-bumping. We’ve discussed how to do over the basement and have decided not to completely finish it, but to waterproof it and designate storage areas — and even a comfy TV area and bar. Oh, and there’s already an area for a possible 1/2 bath, so it only makes sense to put one in. 🙂 I can’t wait to get some kitchen pantry/storage built in! Outside, however, is another situation. We have a tree in front of our house which has pushed up the sidewalk and doesn’t allow much to grow around our foundation area. It’s also buckled our already-curvy driveway — so, those projects would pretty much be a necessity if we’re going to stay. So, that’s what we’re dealing with. I already know that I simply need (need vs. want) to downsize lots of my stuff, particularly clothes. Perhaps we both do. Who knows? I know that people only use 10% of their clothing, which is a discouraging figure, so to garage sale it or give it away would only make sense. But, this is just to get it to be a comfortable living situation for a young-ish engaged couple now — what about the next step? I’ve thought a lot about what will happen when kids come along — I think we both have. It’s pretty obvious that, for now, we’d stay here; but how long? The article makes me re-think it. When we moved in, I mentioned that things’ll be very different when we move out, to which we both agreed; I figured we’d have a toddler running around, Dave thought we’d have teenagers helping us. Very different ideas!!! I can’t possibly imagine raising 2 or 3 kids in this house — but, I’m sure it was done, back in the day. I know of a family with 3 grown children who did just fine in a house as small as ours, if not smaller…but, they were uber-close and uber-religious (we weren’t raised to be “close” in the literal sense, and our religion was always pretty mute). But, as they say, desperate times call for desperate measures. It’s not that things are desperate now, just tighter, and I can’t imagine how tight they’ll be with young ones around. However, it may not be plausible to just move, and I’m considering whether we should put more money into the place than we were originally intending to (that tree was definitely a “eh, leave it” thing before). – Well, obviously, get the tree/sidewalk/driveway taken care of. *shivers* These are “little at a time” projects, but, in this case, a priority. – Once we have our back door, life will be a lot easier. Currently, our driveway is on one side of the house and both the front and side doors are on the complete opposite side. With the plan of adding this entrance, we can bring groceries directly from the car and into the kitchen — what a luxury! – If we’re living here long-term, the floors will have to be re-done. While we can pretty easily live with the cheap living room/stairway/office carpet with just the two of us, no amount of steam cleaning will make it sufficient for when we’ve got babies crawling. I’d like to see what wood we’re working with and whether it’d be cheaper to have it repaired/refinished or to get a nice carpet throughout. – Re-analyze our needs. Do we need all the books we’ve got? Dave does a great job with purging his collections through eBay and amazon.com, but our bookshelves are full. Do we NEED more bookshelves, or less books? (No right or wrong answer.) Do we NEED 3 desks, or more office storage? Do we NEED the huge extra bed in the guest room? (That’s probably one that we won’t work on until *dun dun duuuunnnn* eventual pitter-patter.) Organization isn’t easy in this house, and once you let it slide for a few days, you’re buried — with Dave being pretty particular about his space and us both being brought to tears by the shows about hoarders, it’s pretty obvious what we’ll need to do. – Eventually, a small kitchen reno — and, hopefully, some new appliances. The cabinets under the sink were very poor quality and currently stink when you open them — seems they had a moisture issue and the bottom of them fell through. I’ve still got some items down there for my cleaning, etc, but it’s pretty ridiculous. Can’t wait to have them GONE and simply something cleaner (and that match the rest of the kitchen — white!) and better-quality. While we’re at it, we may get some granite-esque tops for them, and the old, original cabinets. – A cohesive, non-green color scheme outside. (And I don’t mean non-eco friendly, hee hee.) The shutters are pretty yucky and, after replacing the tree, will be quite viewable, so I’d like to paint them a high-gloss black, along with thresholds and doors (possibly a tan thrown in), but we’ll see when the time arises. So, those are some ideas for our “home sweet home” if it’s going to remain such for 5+ years. If another great deal (higher-priced but within our budget) comes along before that, ’tis fine, but for now my philosophy of “get out and spend relatively little before doing so” may have to go the way of the dinosaurs. My last post let you know about Dave’s blog, which is about finding his Buddhist “side”, as it were. I’m super excited that he’s working to implement what he’s been learning into his — and, in a way, OUR — everyday life. It helps him deal with his high-stress job and appreciate life more, which definitely spills into my life. While we were both raised Catholic (and are getting married in the Catholic church), we are pretty non-religious. So, it’s not as if we’re converting to Buddhism. One great post that he made concerned the fact that Buddhism is actually a way of living that can coincide with (and should work quite well with) other religions — and even work in the lives of the non-religious! When I mention Buddhism, it often elicits a raised eyebrow, but we’re very much ourselves and are quite a down-to-earth (I hope!) and “normal” couple. To look at us, we’re not hippies. While I’ve had hippie tendencies throughout my life (I love the Beatles and many of the hippie ideals), it doesn’t define Dave or myself. We have many varying interests. For example, we met at our local community theater, became friends, and the rest is history (in short). Hence, the name of the blog! Currently, he’s the president and I’m the secretary of the theater, so it’s a pretty important part of our lives. Oh, and when we have time, we like to make stops at antique shops. I think that, in a way, this goes hand-in-hand with our timelessness. We’re a pretty classic couple, so when we choose lifestyle paths, it’s based on our true feelings and connections, not fads (‘cuz that would get even more expensive!). I’m lucky that Dave has been not only supportive but just as enthusiastic about our eating and other lifestyle changes as I have. Little did we know that with a couple of minor choices we first bought our house a year ago, we were already on our way to a greener lifestyle. Dave was all about energy efficiency (more for cost than Earth-saving reasons) and bought nothing but energy-efficient light bulbs. Also, it being our first house, we needed a lawnmower — so I bought him an update of the old school push mower (pay no attention to the reviews; we give it 4/5 stars). He can mow as early as he wants on weekends without waking a single neighbor, and the “whirring” noise is lovely to listen to. It’s also a great workout, and he really enjoys using it. So, that’s a little bit about us. We’re a pretty passionate, low-key couple. To learn more about how our wedding plans are going, check out our wedding blog. Yesterday, I received a cheerful, super-excited email from Dave with a link to a CNN article about meatless Mondays. While this concept is nothing new — especially both growing up Catholic (which made Fridays the meatless days rather than Mondays) — and Paul McCartney, among others, have been doing it for awhile — it’s new to us. Or, at least, a new idea to try. So, we made a couple of large salads and ate plenty of pasta with veggie-laden tomato sauce. Oh, all while watching the 3rd installment of our Netflixed Ken Burns’ “Jazz”. Fun night! I’m now off to research soap-making. I find myself getting distracted by about a million different things to research, from safe cosmetics to Earth-friendly cleaning products, when I’m suddenly hit with “get simple about it — look up historic ways of doing this” to stay true to my historical interests and to avoid overdoing things. Thanks for checking in! Things are definitely going very well and even bringing Dave and I closer and closer together. By the way, check out Dave’s blog, Dave’s Path to Enlightenment, where you can follow his thoughts while reading and learning more about the how to incorporate Buddhist concepts into his everyday life.